Would you like to get the essentials about Beagle grooming? Read on for grooming tips that will help you raise a happy and healthy Beagle. If you have been looking for a low-maintenance dog with minimum grooming requirements, the Beagle should be high on your list. Beagle grooming is an easy task once you understand how the dog is equipped to survive different weather conditions. The good news is the Beagle is a hound. It is used to tracking prey in rough conditions. The outer coat is thick and helps protect the body, but there are other aspects of grooming you need to know. It’s actually quite simple and requires very little of your time. Beagles have smooth coats of hair, but they need grooming, though only once a month or so. The dog is built to hunt but has a fuzzy undercoat as well to protect it from the cold. Dog owners may literally find it very difficult to penetrate the outer coat with a soft brush. It’s almost weatherproof and needs very little maintenance. If it’s bred indoors, Beagle grooming once a week helps keep in touch and notice signs of infection, if any. The Beagle appears to have thicker hair in the winter as protection from the cold. However, it does tend to lose hair in spring, which is why brushing hair every week helps the dog lose less hair overall. The dog is blessed with a powerful sense of smell which takes it out on tracking events. It finds its way through thick jungle growth passing through excretion of other animals. The Beagle won’t stop until it reaches its destination and will sniff itself to glory gathering all possible sorts of infection. The thick outer coat does afford solid protection, but what you have to watch out for is infection in the ears. You could bathe your Beagle in a small tub without much difficulty. Use room temperature water to soak the coat up to the skin. A gentle dog shampoo can be used to massage lather into the hair. Some dogs may be a bit wary of getting wet, but initial Beagle grooming training helps the dog adapt to water as long as it is done once a month or so. The dog accessories industry has gathered momentum over the years. You are now able to buy conditioners and specialized shampoos capable of protecting the dog from infection, as well as keeping its hair healthy without much shedding. Other aspects of your Beagle grooming such as trimming nails and removing wax from the ears can be done as needed. You do get specialized ear-cleaning dog products, so it’s just a matter of choosing the right one for your Beagle. Brushing a grown-up Beagle’s teeth may not be an easy exercise unless you introduce brushing sessions when the dog spends its first few days in your home as a pup. Teething is a natural phenomenon and must be considered while brushing teeth. And now I would like to invite you to get immediate access to free information about the perfect, step-by-step grooming routine for your Beagle at http://www.mybeagletraining.com/beagles/grooming2/. It is rare for a Golden Retriever to grow to be aggressive, but it can happen. There are many causes for this type of behavioral issue. In some scenarios, poor breeding can result in an aggressive Golden Retriever. Goldens’ usually don’t actually care about dominance and tend to be very good at accepting their status as a subordinate member of your family pack. However, that doesn’t mean that it can’t happen. Dominance issues are one of the most common reasons for aggression. More often than not, a golden with aggression issues will simply be acting out of fear. This is recognized as defensive aggression. For example, if your golden was hurt by a massive dog or young kid when they were youthful, they may react aggressively when exposed to these triggers further in life. Dealing with defensive aggression can be a scary and irritating time. While you do not want to scare your dog or cause further emotional trauma, you obviously want to decrease the incidences of aggressive behavior. One of the most important points you can do when dealing with defensive aggression is to not ignore the problem. It is important to deal with the issues as soon as possible due to the fact aggression can increase over time if not properly addressed. Aggressive behavior can begin with some dogs when they are as young as six weeks old! At this point, many dogs are still being weaned and haven’t even left the breeder. This is why it is very important to obtain your golden from a reputable breeder. You should also take the time to meet your pet’s parents to see if they have any behavioral issues. One good way to stop aggressive behavior is to make sure that your dog is properly socialized. A critical period for socialization is from the time a dog is 6 weeks old until he or she is 14 weeks old, right after your puppy is weaned and has obtained their first series of shots, you can take them out in public. Some people choose to socialize their dog in public before they have received their shots. You can minimize the risk of your dog contracting a virus by keeping hold of them while out in public. Soon after your dog has been properly immunized, you can take them to family outings in the park, to the dog park, or even to the pet store. Getting your dog out to these areas is a great way to expose your puppy to people and other pets. When your dog acts inappropriately, it is important that you don’t do the same. This implies that you should never discipline your young puppy harshly, especially if she is between 8 to 10 weeks old. When you discipline your pup, do not hit her with your hand or another object, yell at her, or use other harsh discipline methods. This can actually backfire and cause more aggression, especially if your dog is defensive aggressive. Recall that properly socializing your dog before they are 14 weeks of age can truly help to decrease their probabilities of building aggressive behavior soon after in life. While genetics may play a role in growing aggressive behavior, environment can play a huge role. If your dog is abused or neglected, they will have a very good possibility of turning aggressive. A dog that has poor living conditions, very harsh masters and no social capabilities is also very possible to develop behavior issues. If your dog shows aggressive behavior after one year of age, you will need to address the problem quickly. You may need to enlist the help of a trained professional to do this. Bear in mind that it is important to not reward your dog for aggressive behavior. If you treat your dog or pet your dog immediately soon after aggressive behavior, you are in essence rewarding that behavior. Aggression can be controlled. Even so, it is very important to take the steps necessary to solve the problem as a substitute of ignoring behaviors and hoping that they will go away on their own. Do you have small child and are thinking of adding a pet Chihuahua to your family? Many people think Chihuahuas aren’t a suitable breed for small children and write them off altogether if they do. While you may not need to act so brash, there are a few things you should know to protect the safety of both your children and Chihuahua. There are a few different reasons why Chihuahuas are less suitable for children than other breeds. One of the main reasons is simply because they are fragile. Chihuahuas are the smallest breed in the world and that means fragile bones which may inadvertently break when pulled on, stepped on or otherwise injured. The key to preventing this is to teach your children that Chihuahuas are fragile and shouldn’t be played with like toys. Don’t allow your children to act too physical or rough with them. You should also supervise your children anytime they are playing with your chihuahua to make sure the safety of both. Another reason people disregard Chihuahuas as being a dog breed acceptable for small children is because of their overly aggressive reputation. The truth is that Chihuahuas aren’t anymore aggressive than most other breeds. Many owners just don’t spend the time required to teach their Chihuahuas basic obedience and discipline. You shouldn’t discipline your Chihuahua by hitting them, but instead tell them “NO” in a strong tone. This is more than enough to get the message across to your chihuahua that what they’re doing is wrong and isn’t tolerated. The biggest issue with small children and Chihuahuas is that they don’t know how to properly play with them, which is why at important to teach them. This is something that’s all too commonly forgotten or disregarded by owners. Take 10 minutes out of your day to tell your children how they should pet your chihuahua and not pull or be rough with them. Even with teaching your children the right way to play with your chihuahua, you should still closely watch them when they are together. Make sure both of them are behaving and immediately step in if you see your chihuahua showing signs of aggression or if your, child is playing with them in such a way that could harm them. If you ever see your child touching or playing with your Chihuahuas food, you need to make them wash their hands immediately and explain to them that they can’t touch dog food. Something many owners are unaware of is that dog food often contain salmonella, which can cause serious illness, especially in small children. Chihuahuas are a loving dog breed who will bring countless memories of joy to you and your family. But, it’s important you know to create a safe environment in which your small children and Chihuahuas can coexist in order for that to happen. Brenton is the owner of three Chihuahuas and frequently writes for ChihuahuaThreads.com, where you can learn more about Chihuahuas. Need an enduring friendship? The Australian Cattle Dog is a loving and loyal herding dog. 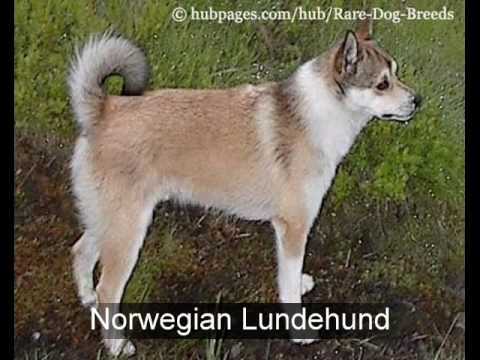 Check out images of the world’s top rare dog breeds. Newfoundland is the most extreme waterdog on the planet! Learn more about this water retrieving dog. Poodles are one of the most famous breed of non-sporting dogs. They are intelligent and dignified dogs that usually gets along with children and strangers. The Miniature Poodles are more excitable compared to the Standard Poodles. Poodles are quite easy to train and don’t need a lot of activity. However, Poodles require a lot of grooming, regular baths and should be clipped every two months. Chow Chows are one of the oldest breeds of dogs around. These cuddly adorable dog could be stubborn and quite independent but they usually have good manners. They are not very sociable and could be very possessive and loyal. It needs regular brushing and sheds heavily, so you should have a vacuum handy if you plan to keep the Chow Chow indoors. Dalmatians is a highly energetic and playful dog, known for its spotted coat. They enjoy being with humans, are highly intelligent and could become possible guard dogs. Because of their energetic nature, Dalmatians need lots of exercise and time to play. They shed heavily two times a year and should be given a low protein diet because they are prone to urinary problems. The Chinese Shar-Pei has a dominant and confident nature which would suit a confident handler. They are extremely loyal, intelligent dogs who are quite playful around their families. Shar-Pei are known for their wrinkles. Shar-Pei puppies are very wrinkly and they get to lose some of it as they grow. They hate water but are very clean. They will need weekly baths and more brushing when they are molting to remove dead hair. Bichon Frises are good examples of cute cuddly dogs. They are quite popular as house pets due to their sociable and happy nature. They generally get along with children and other dogs and excellent at learning tricks. Because they have fluffy, loosely curled coats, Bichon Frises need to be groomed frequently, making sure to trim the hair around the ears and eyes. Another good thing about this breed is the fact that it doesn’t shed often and its fur doesn’t cause an allergic reaction. If you are interested in acquiring any of these non-sporting dogs for a pet, make sure you choose the breed that fits well with your lifestyle and you will be assured of a loving and loyal companion.